3Shape Implant Studio® 2016 software for dental practices and labs is a fast, easy-to-use, and predictable digital implant planning/surgical guide solution. It enables the planning of single to complex implant procedures by considering the esthetics and intended final restoration as well as the overall clinical situation. 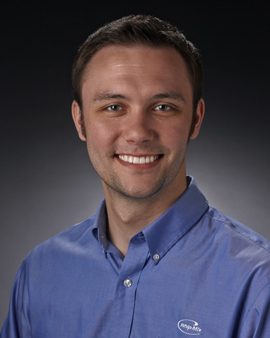 Evan Kemper, RG CDT is a Technical Services Representative at Whip Mix. As a Certified 3Shape and Roland trainer, he develops and conducts CAD/CAM equipment & software training and provides technical support/assistance to our digital customers. Evan is a graduate of Lexington, KY's Bluegrass Community & Technical College in Dental Laboratory Technology and received his Bachelor’s Degree in Computer Science from Transylvania University in Lexington, KY.